Latitude Festival is a music and performing arts festival, taking place at Henham Park in Suffolk. Popular with families, the festival showcases a lineup of music, comedy, poetry, theatre, politics, film and workshops, making it one of the UK’s most diverse and inclusive festivals. 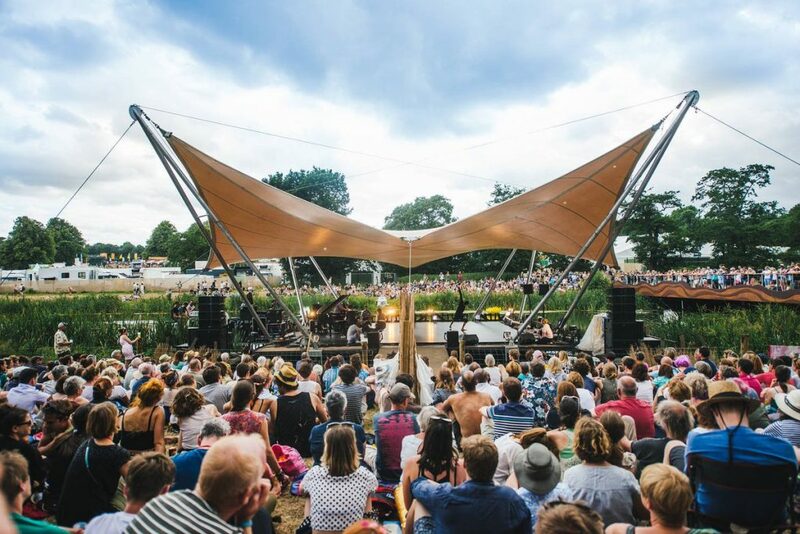 This year’s lineup will featured the likes of Primal Scream, George Ezra and The Kingdom Choir, while Latitude Festival’s woodland night time areas come alive to the sounds of dance music. Dates and time: I will be leading a Kirtan session on Friday 19th July on the Waterfront stage from 10:00 – 11:00am. Fees: prices from £77.50 for a day ticket. Tickets are available on Latitude’s tickets page. For adults aged 16 or over. Includes camping. A Weekend Ticket which gives you access to camping in the Family Campsite. You must be accompanied by a child or children 16 or under. You will not be allowed turn up early without children to reserve camping places for families arriving at a later time. For children aged 5 – 12. Valid for either day or weekend access. Children under 5 do not need a ticket. Children under 10 must be accompanied at all times (on site) by a parent or guardian who is aged 18 or over. Children aged 10 – 12 can move around the festival unaccompanied during daylight hours once consent is given by their parent or guardian. A supplementary wristband is issued and these can be obtained at the family arena entrance. Beware of unauthorised ticket agents (including eBay, Gumtree and Craigslist), buying from them can be a lot of trouble. You are likely to pay over the odds for a ticket that will have never existed or might never materialise.